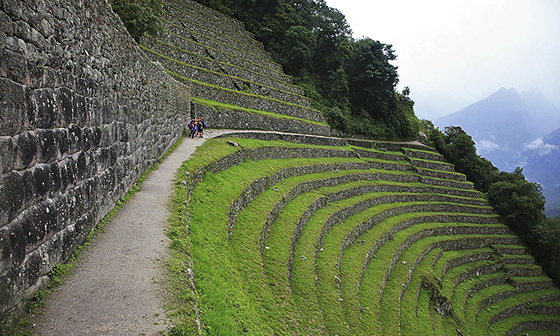 The Inca Trail to Machu Picchu program invites you to hike the challenging Inca Trail; surrounded by natural beauty. On the way you will visit places ever encountered by the Spanish conquers, several of which are still covered by vegetation. 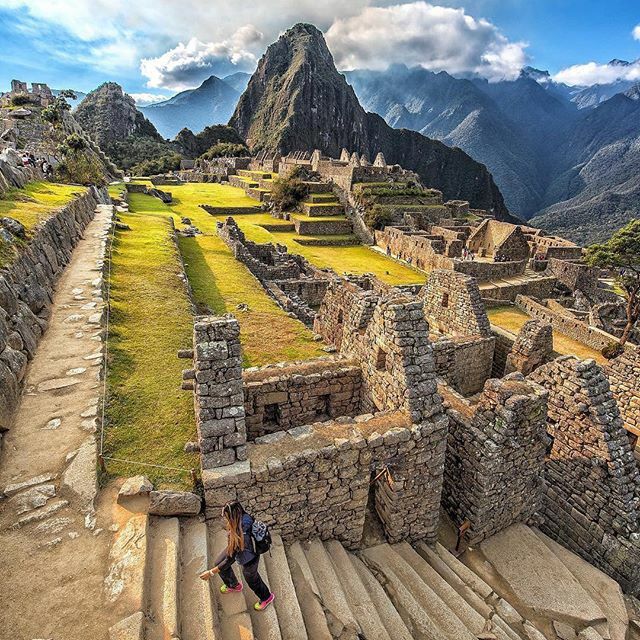 Finish the hike by entering through the Door of the Sun or “Intipunku" to get marvel at the most famous Inca city: Machu Picchu. This day you will visit the city of Cusco, declared a World Heritage Site by Unesco and home to a somewhat particular essence. 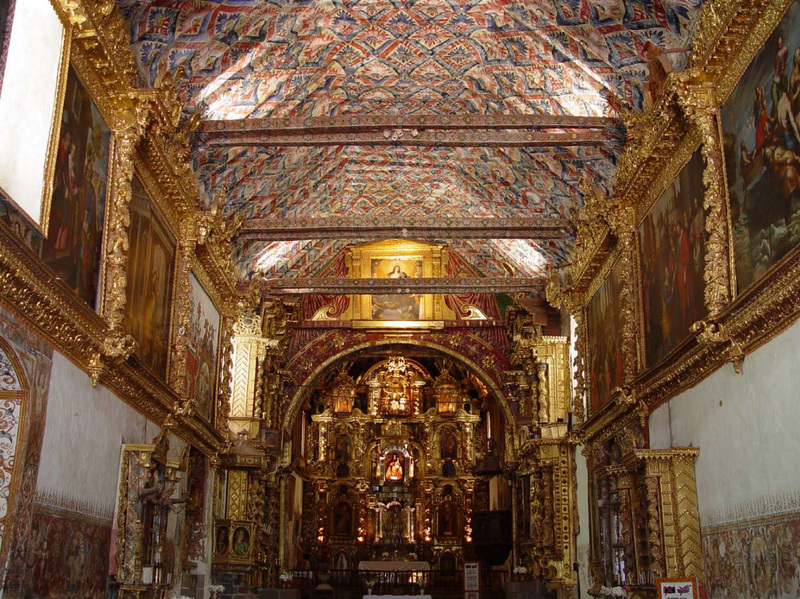 The tour will start at the temple of Koricancha, an ancient Inca palace and main worship center of the Sun God, where the order of the Dominicans built an incredible church that can still be seen there. 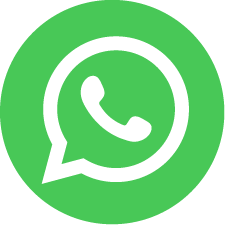 Then, you will tour the Main Square, where the Cathedral and the beautiful Church of the Society of Jesus, among other colonial buildings, are located. 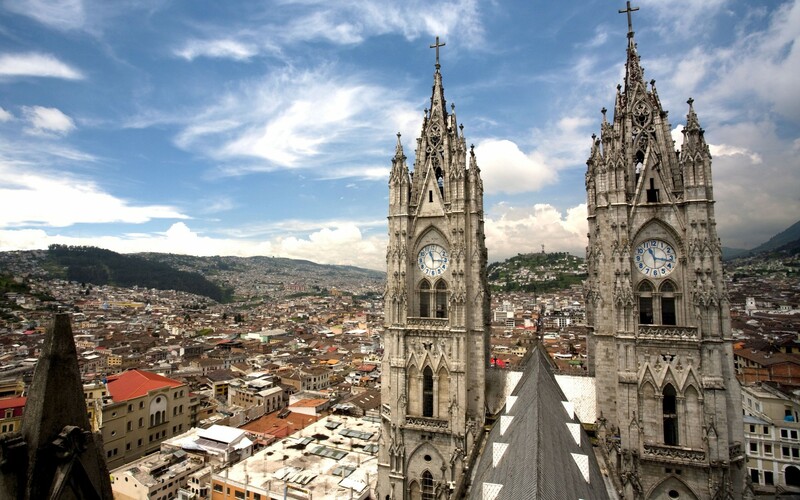 You will then continue the journey to the colonial church of San Cristóbal to enjoy a spectacular view of the city. Afterwards you will go on to the fortress of Sacsayhuaman, an Inca building known for its massive walls of hewn stone, located in a strategic location, on a hill, with a broad view of the city of Cusco. 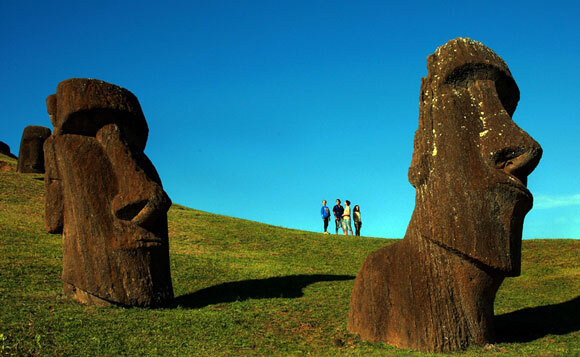 Later, you will visit the important archaeological complexes of Qenko and Puca Pucara. 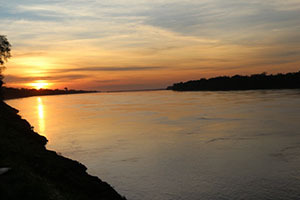 In the evening you will be briefed about the details of inca trail hike by your guide at your hotel's lobby. Discover the best of the Sacred Valley of the Incas through this route starting on the Inca's Balcony, a beautiful terrace with an impressive view of Chinchero, where twelve families still preserve their traditional costumes, showing you the ancestral way in which they process the wool, and obtain those vivid colors for their textiles. Afterwards, you will get to Ollantaytambo, one of the most monumental architectural complexes of the ancient Inca Empire, one of the few places where the Spanish conquistadors lost a major battle. Very well known for its “andenes” (terraces dug into the slopes of mountains for agricultural purposes), Ollantaytambo was a highly effective fortress, which also served as a temple. Then, you will visit the town of Ollantaytambo, a unique living Inca town, the best surviving example of Inca city planning, with narrow cobblestone streets that have been continuously inhabited since the 13th century. 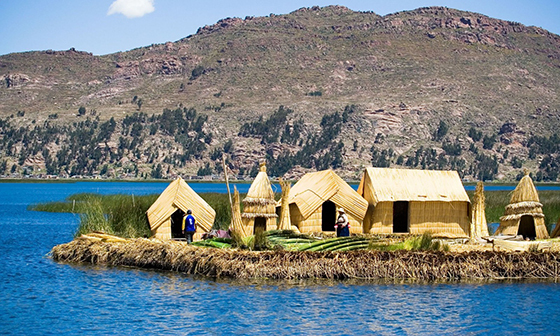 You will depart at 6:30 am through the Sacred Valley up to Ollantaytambo, where you will stop for approximately 45 min. Then you will go up to kilometer 82, where you will start a not-too-demanding hike to help you with the acclimatization process, up to the first archaeological complex of Llactapata, half an hour from km. 88 (8366 ft. above sea level), where you will stop for about 30 minutes to visit the complex, and then resume the hike up to Hatunchaca, where the camp will be set. Total hike time: 4:30 to 5:00 hours. Total miles: 1 mi. The hike begins at 9022 ft. and ends at 9842 ft. above sea level. 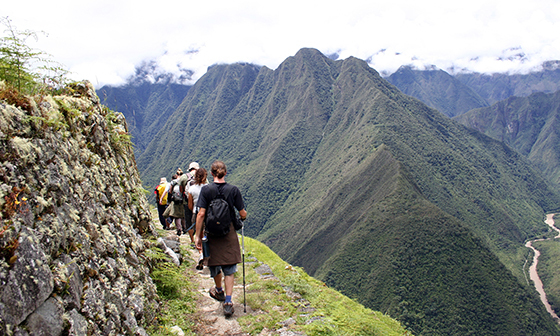 After breakfast, you will start the hike through the Huayllabamba Valley. 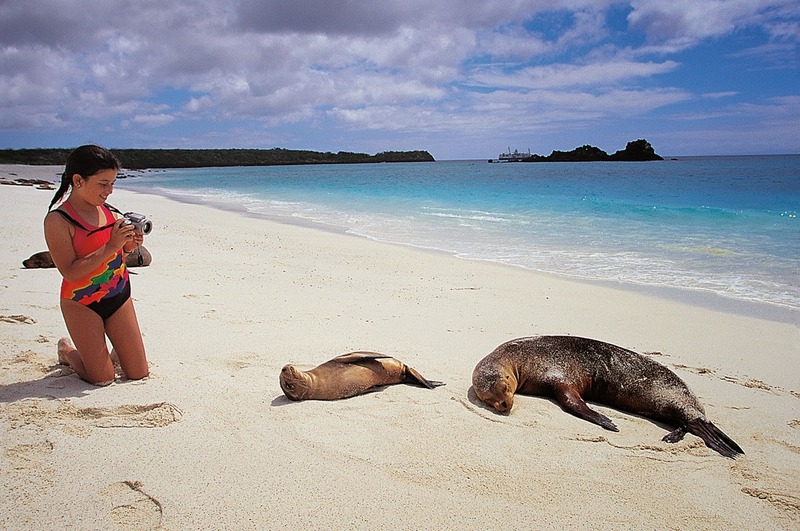 Through the hike you will observe nature and ecological changes all the way up to the place called Yunca Chimpa. Then the route will ascent from Huayllabamba towards Llulluchapampa (12303 ft.). 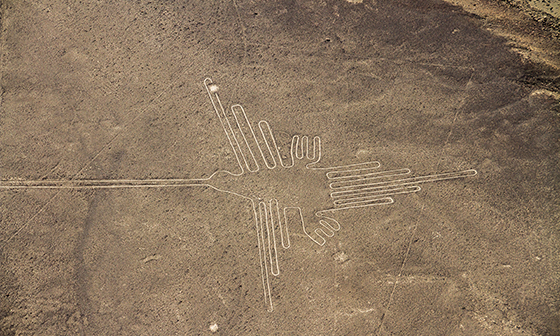 From there, it can be appreciate Huayanay Valley and the first pass located at 13779 ft., Warmiwañusca, also known as Dead Woman, and the camp will be set in the Pacaymayo sector. Total hike time: 7 hours. Total miles: 8mi. Hike begins at 9842 ft. and ends at 12467 ft above sea level. On this day, you will ascent up to the second pass known as Runkurakay, at 12664 ft. You will visit the small complex of Sayacmarca and appreciate the valleys and snow peaks, before going on to the Phuyupatamarca complex. 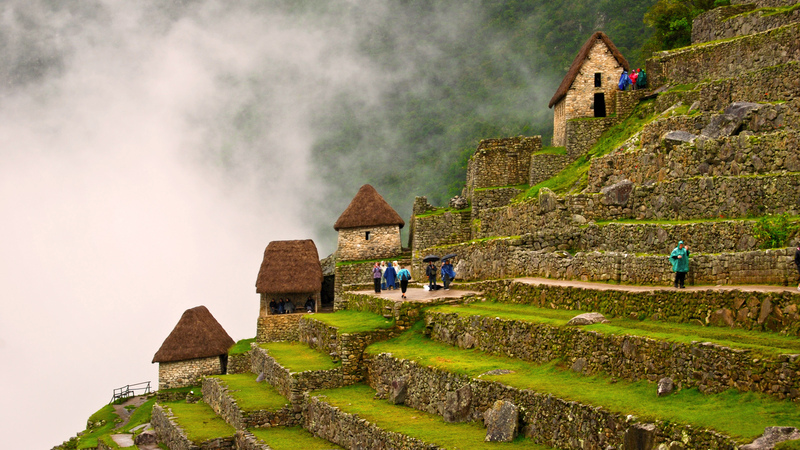 Then you will go down one mile to the place called Wiñaywayna, where you will visit a namesake complex and camp. Total hike time 10 hours. Total miles: 9. Hike begins at 12467 ft. and ends at 8694 ft. over sea level. 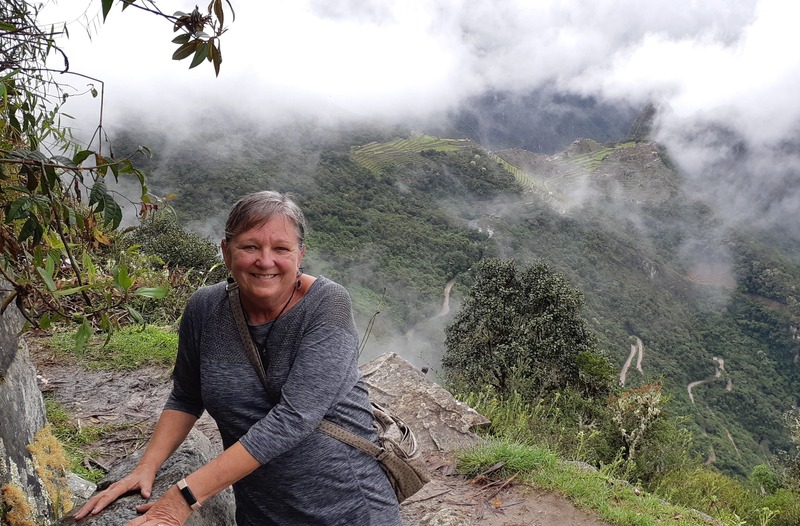 Early this day you will go to the sector of Intipunku also known as Puerta de Sol (Gate of the Sun), where you will observe the impressive lost city of Machu Picchu, as the guide explains about the area for about 30 min. lapse. 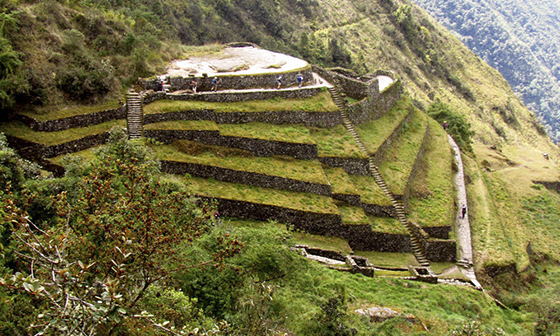 At a specified time, you will take the bus to return to Machu Picchu town to enjoy a delicious lunch. Total hike time: 2:15 hours. Total miles: 3. Hike begins at 8694 ft and ends at 7874 ft. over sea level. 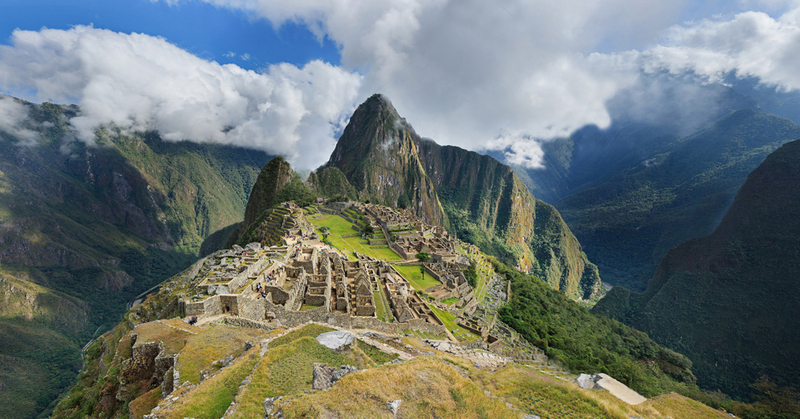 day you can re-enter for a second time to visit Machu Picchu citadel, and its Moon temple. If you are adventurous, you might enjoy the adrenaline climbing Huayna Picchu peak and the amazing view from the entire valley. You will definitely have awesome photographs from the full sight of the citadel. 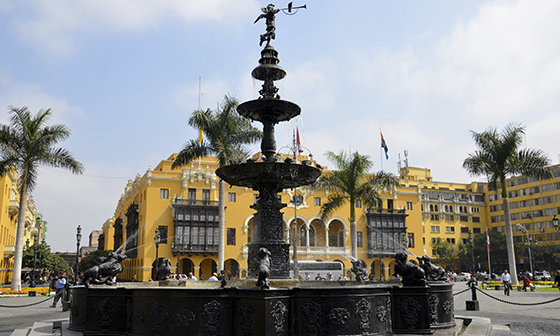 At the appointed time, transfer to the train station to take your train ride back to Cusco. Upon arrival transfer to the hotel in Cusco. 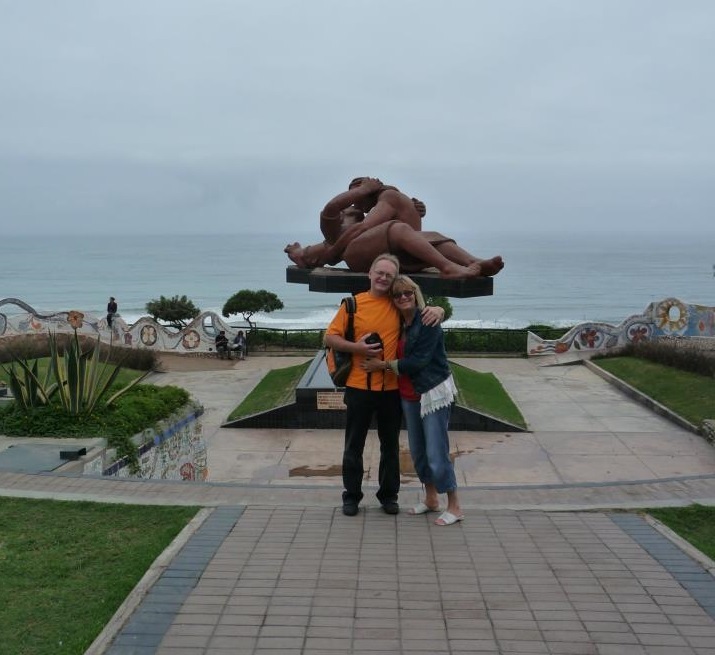 Day at leisure to enjoy the wonders of Cusco city. Upon your arrival, transfer to the hotel. 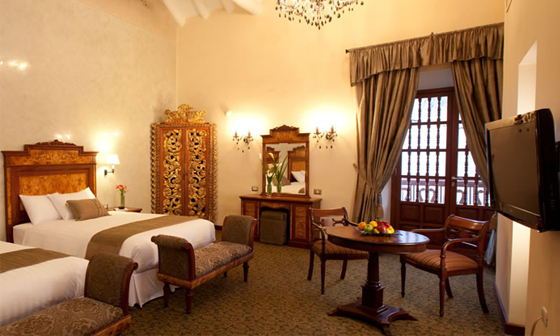 4 nights of accommodation in Cusco at selected hotel. 3 nights at campsite (accommodation in tends).